BMW recently unveiled an electric concept SUV, the Vision iNEXT, with plans for the vehicle to enter the market in 2021. The vehicle will feature technology that includes autonomous driving, voice control activation, single-touch input response technology, and a projector light that can beam out images, moving content, or interactive video graphics. BMW says the car will be highly automated, fully connected, and completely emission-free. “The iNEXT project will provide our building blocks for the future, from which the entire company and all of its brands are set to benefit,” said Harald Krüger, Chairman of the Board of Management at the BMW Group. 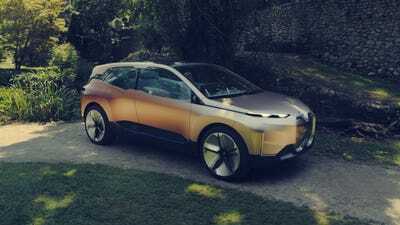 The BMW Vision iNEXT is the German carmaker’s next step in intelligent-drive development, as the car will be highly automated, fully connected, and completely emission-free. The Vision iNEXT follows the line started by BMW “i” in 2007 and BMW “i3” from 2013, two models which used electric powertrain technology. First, there is the Intelligent Personal Assistant, an integrated digital world linked with smart devices that respond to voice commands by the driver. There is also Intelligent Materials, a single-touch functionality that allows the car to respond to various hand or touch gestures a passenger makes upon the seats with their fingers as if they were inputs. Finally, there is Intelligent Beam, a projection light that beams images, moving content, or interactive video graphics at the simple command of the driver or passenger. The BMW Vision iNEXT will be equipped with other impressive aspects. 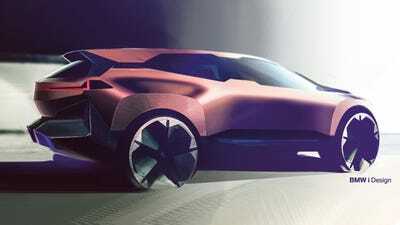 Cameras will take the place of exterior mirrors, and touch-sensitive graphics will take the place of door-handles. iNEXT drivers can choose to either use “Boost” mode to drive themselves or “Ease” mode to be driven by the car’s technology. BMW says that “Boost” mode is a virtually silent driving experience that exerts zero-emissions from the car. While in “Ease” mode, the steering wheel retracts slightly into the dashboard, and the display panels change into “Exploration Mode” which allows passengers to digitally explore activities in their surrounding environment as the car cruises along. Let’s take a look at some photos below. 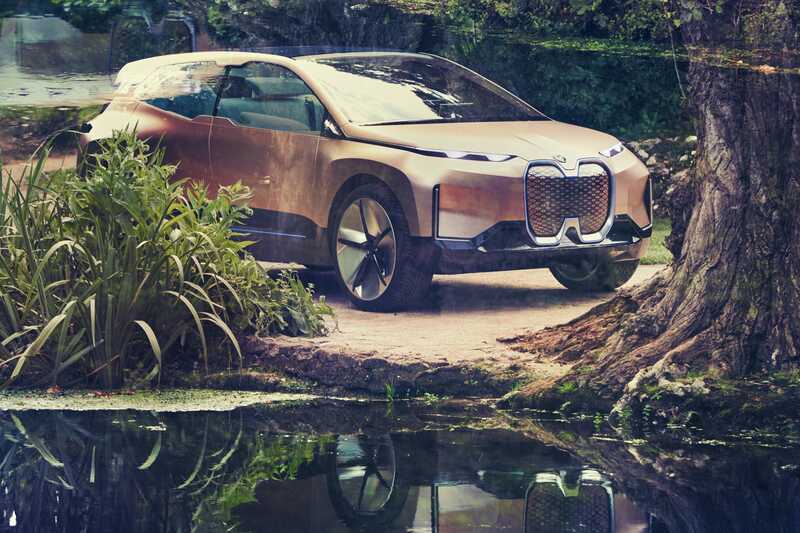 The BMW Vision iNEXT SUV is just around the corner. The car is painted in a “Liquid Greyrose Copper,” which changed shades from warm copper to dark rose depending on the light. Here it is in dark rose. The dynamic sculpted forms and two-box proportions with a long roofline highlight the ample space inside the passenger cabin.